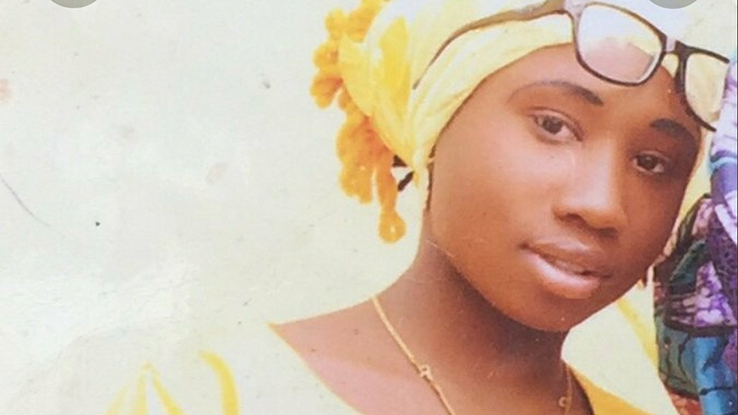 Leah Sharibu was one of 110 girls abducted from their school in Dapchi, Nigeria, by Boko Haram in February 2018. In a moment of extraordinary courage, she refused to convert in exchange for her freedom. This September, CSW will be holding 200 Hours for 200 Days, a prophetic protest inspired by Leah’s perseverance. Please pray that we bring home to people just how long Leah has been held captive, and urge the Nigerian government to negotiate her release as they did for the rest of her classmates. Give thanks to God that another church has been born in South West Nigeria where before there was none. The church meets in an open space under a tree and is made up of people who were involved in a Bible listening group facilitated by the Bible Society of Nigeria. They gave their lives to Christ after watching the Jesus film and began listening to the audio Bible. New listening groups are being set up all over the country as people respond to Jesus. 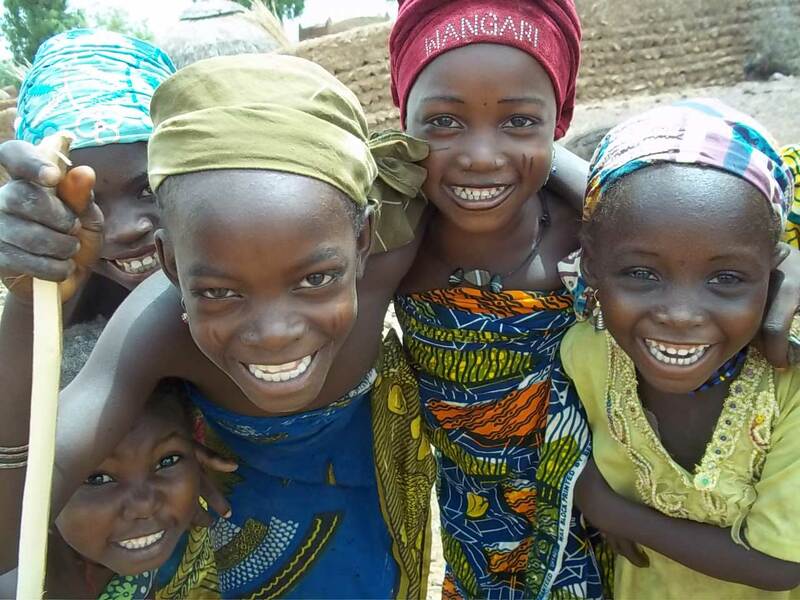 Pray for this growing work in Nigeria, that even more people would see the Jesus film and listen to God's Word. Ask that God would strengthen new churches. Teenager Aboubacar lives in Nigeria and has been in and out of hospital for much of his young life, having developed patches on his skin at the age of 4. Sadly, awareness of leprosy is low and after years of visiting various doctors he was finally diagnosed with leprosy at the age of 8. 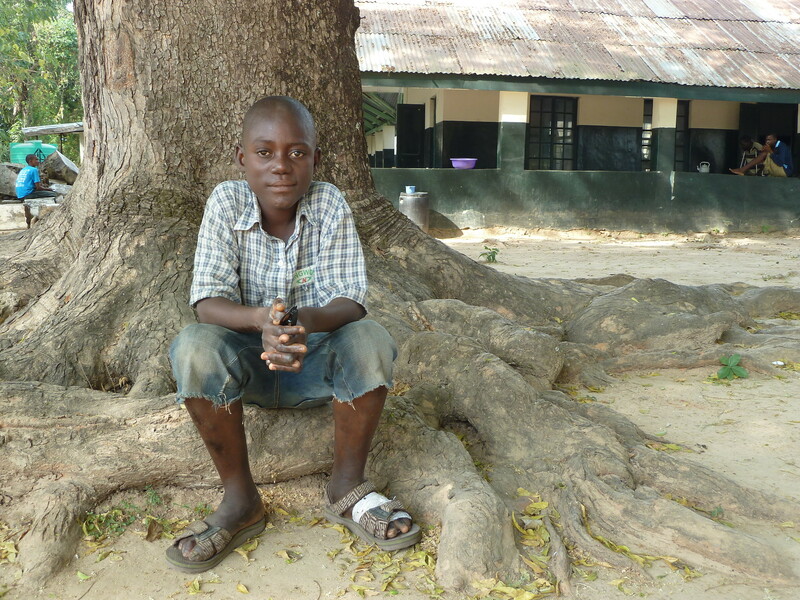 Unfortunately, by this point leprosy had already caused Aboubacar to lose feeling in his hands and feet. Give thanks that The Leprosy Mission teams in Nigeria can help and support young people like Aboubacar, giving hope for the future. Pray that more people in Nigeria will know about leprosy, so other young people can receive a quick diagnosis to prevent permanent damage. Praise God that a well-known witch doctor, almost dying because of an infection in his jaw, gave his life to Christ and was healed. He is a walking miracle! Now he, his wives and his children and grandchildren are all walking with the Lord and, according to his pastor, they are the strongest believers in his church. Pray for more believers and more such miracles among the Fulani. 2017 is a strategic year for the Kamuku project. Praise God that the launch of the printed and recorded Luke’s Gospel is now scheduled for Friday 7th April and the book is currently with a printer. A group of Kamuku Christian leaders have received training concerning how Bible translation can encourage and relate to the core ministries of discipleship and church-planting. Ask God to give the Kamuku church a passion for his Word, that many will read it and be transformed by it. Pray for the 40,000 people affected by leprosy that TLM supports in Nigeria. Pray for the new people diagnosed with leprosy each year (approximately 4,000). The number of new people diagnosed indicates ongoing transmission within the communities. TLM’s partnerships help to reveal these newly diagnosed people, helping to reduce the struggles and consequences of the disease, such as disability, poverty, and social exclusion. Please pray that this vital work will continue and that people affected by leprosy will feel empowered to come forward for treatment. Christians in north and central Nigeria continue to be targeted by Islamic extremist group Boko Haram (meaning ‘Western education is forbidden’), which is trying to establish an Islamic state, and by armed Fulani militants. Villages are often targeted and inhabitants brutally killed and their homes and churches destroyed. In March in the Riyom area of Plateau state eight members of one family were burned to death in their home. During an attack on a village in Wukari, Taraba state, on April 15th, seven people were killed and the church and all the houses destroyed. Resolve on behalf of the authorities to tackle this violence has also too often appeared largely to be lacking. Please pray for an end to the violence and that the security forces will act effectively to protect all Nigerian citizens. In June, suspected Boko Haram extremists launched a two-day attack on villages in northern Nigeria’s Borno state, killing at least two people and setting alight many churches. Churches were attacked in Gharaza, Tatsa, Kunde, Arboko, Chinene and other villages during the two days. Further violence then claimed the life of a Muslim man. The military has received criticism for failing to respond to local villagers’ appeals for protection. The attacks come amid an intensification of government efforts to counter the insurgency in the northeast of the country: a state of emergency was declared in Borno, Yobe and Adamawa states in May. Pray that Nigerians of all faiths will unite against this extremist threat. Christians in Nigeria continue to face violent attacks from Islamist militants who are trying to drive them out and impose strict Islamic law or Sharia. A key target is the Plateau State capital of Jos, the dividing line between the mainly Muslim north and largely Christian south. The death toll has long exceeded 1,000. During the summer there were suicide bomb attacks on churches in a number of states and in October upwards of 40 students were massacred at a college hostel in a predominantly Christian neighbourhood in Adamawa state. Pray that Christians would not retaliate but find God-given ways to protect themselves. Pray that the government would act decisively to tackle extremism and for an end to the violence. Ask God to comfort and heal the wounded and bereaved. Today there are almost nine million people in Africa who suffer from blindness, with many times that number partially sighted. Every year, tens of thousands of free magazines with Christian content in Braille, giant print and audio formats are distributed to blind people across Africa. Most of these go to Malawi, Nigeria, Kenya and Zambia. In addition to these magazines, organisations such as Torch Trust also produce various scripture portions and songbooks in Braille in languages such as Chichewa, Shona, Sena, Hausa, Bemba, Igala and Tumbuka. Pray that God would work through these resources to transform the lives of blind and partially sighted people with the gospel. An estimated 15,000 children have been accused of being child witches, many of these from Akwa Ibom State in the South East of the country. Often, so-called ‘pastors’ charge money to perform violent exorcisms on the children. In other cases, accused children are abandoned or sold into slavery, and end up being prostituted or becoming domestic servants. 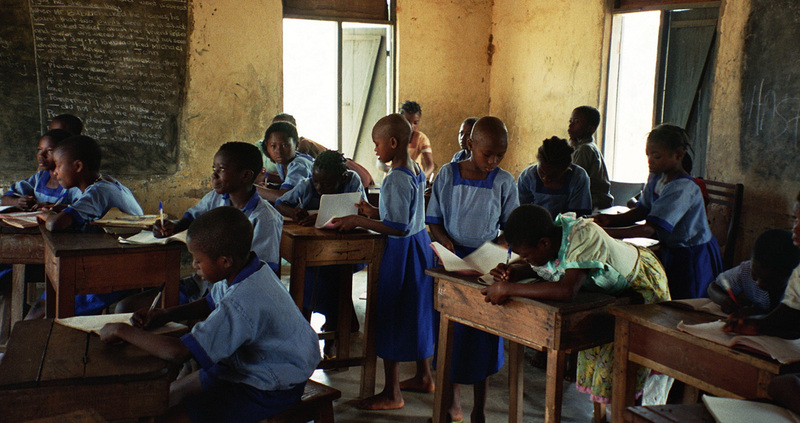 Pray that God would move powerfully to save children accused of being child witches, that Nigerian Christians especially would come to know the lies surrounding this practice, and would work to educate others, so that it is brought to an end.